I'm going to try and recreate some of the show-and-tell threads I had previously posted on the old site. Here's a favorite one -- the Vukovar Feldpost. Following the reconquest of Greece by the Allies, German forces stationed on Crete and the Aegean Islands could only be supplied by air. 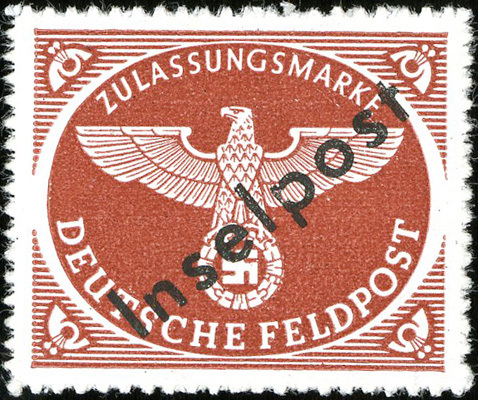 The postmaster for these regions, Feldpostmeister Dr. E. Schwarz of Army Group F, decreed that all mail in these regions should only use feldpost stamps overprinted "Inselpost". 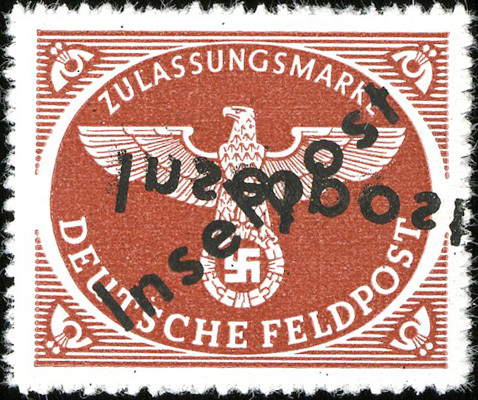 To accommodate this requirement, 200,000 feldpost package stamps (Michel 2B) were overprinted in Vukovar, Croatia, for distribution to the troops. However, the aircraft transporting the stock of stamps was shot down during a supply flight in October 1944. The only copies of the Vukovar printing which survived were a small stock of approximately 2,000 stamps which remained in Vukovar. Most of these remaining copies were transported to Rhodes in December 1944, where they were distributed to collectors. 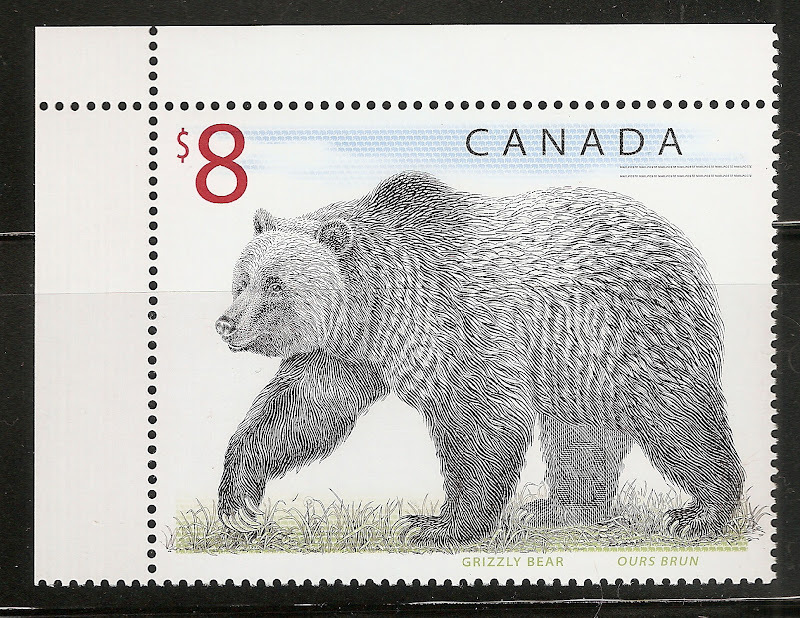 They included normal copies, as well as a few double and inverted overprints. During the printing process, two freshly printed sheets were placed face-to-face, resulting in transfer from one to the other and creating the double overprint with one inverted and mirror-imaged (unlisted in Michel). 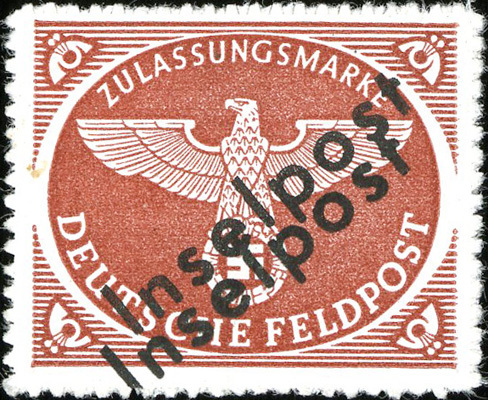 The only known copies of this error are from a single block of 12 that were in the Inselpost reference collection of Dr. Schwarz himself. During the retreat of Army Group F through Yugoslavia, however, much of the Feldpostmeister's reference collection was lost, the inverted/mirror copies included. They were rediscovered over 30 years later in West Germany, where they were split into two blocks of 6. This copy was formerly in the middle row, first column of the above shown block (position 13 of the original sheet). Because of the irregular manner by which the mirrored overprint came to be on the stamps, the quality and position of the overprint vary greatly. This is one of the better copies in that is has a clean, almost complete mirrored overprint. PostmasterGS, thanks for this interesting thread. I have a question about the Inselpost overprint. Yours is in upper and lower case letters. The only one I have seen is all upper case letters. Does the different overprints come from different theaters of war? 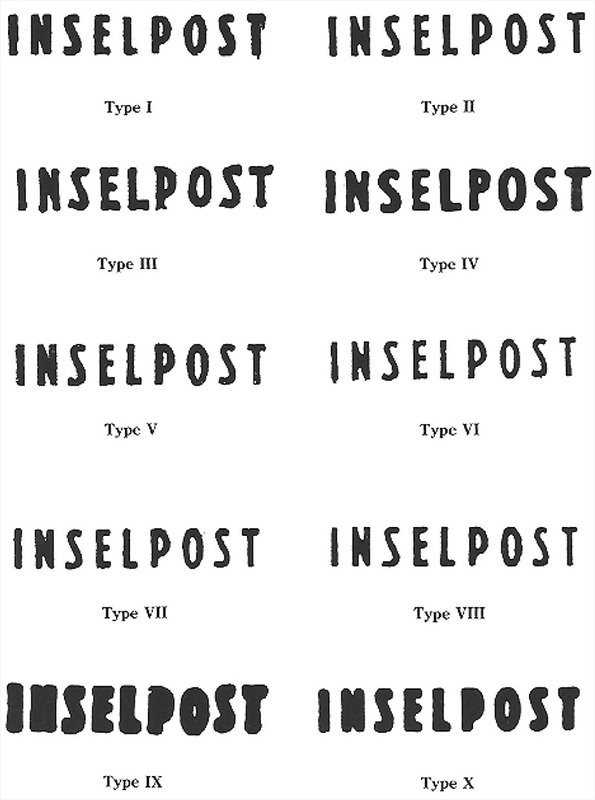 There are 7 different Inselpost issues (Michel 6-12), 6 of which (Michel 6-11) feature an "Inselpost" overprint. 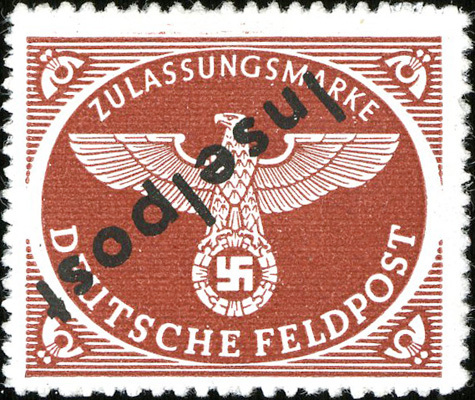 When the decision was made to use Inselpost stamps, the intent was that the Vukovar issue (Michel 6) would serve the entire region. However, when the stock was destroyed, the local postal officials had to make their own provisional issues from local stock at local printers. Therefore, there were different Inselpost for Crete, Rhodes, Leros, and Agram. Of these, the styles of the overprints differ on all except Michel 8-9 (two different Rhodes issues), which share the same overprint. 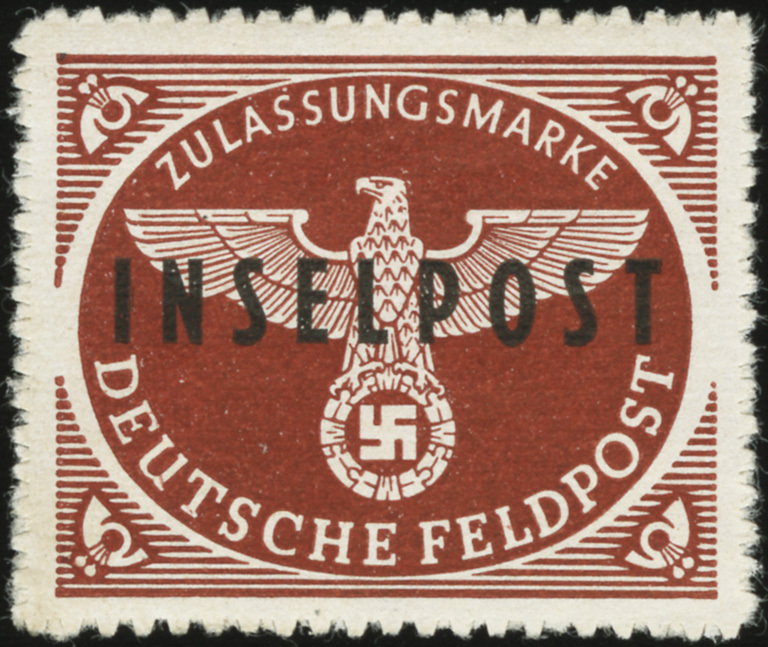 oh i am so glad that you are recreating these threads..
PostmasterGS , I was able to recently purchase two German Stamps overprinted "INSELPOST" relatively cheaply. I would like your opinion if the overprint is faked. I don't see anything about the Agram issue (MiNr 10, on the right) that jumps out at me. Yours appears to be the most common variant, MiNr 10 B b I (rouletted with 30-40° overprint from Plate I). The Rhodes parcel stamp (MiNr 9) I'm not so sure about. 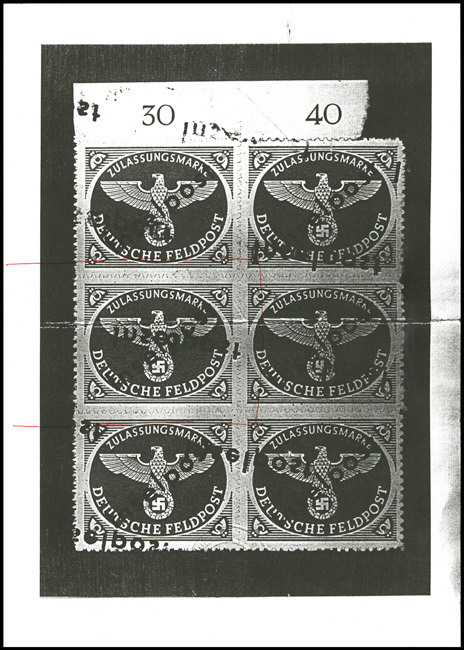 There are several fraudulent overprints that are very close to the original, and this is a commonly forged issue because of the CV (€550 for MNH). The feet on the "S"es look a little off to me. Compare them to this certified copy. Note the sharpness of the ends of the feet, and the slight curve upward at the end. The feet on yours appear less defined and flatter. Again, not sure by any means, but it does cause me a little concern, as that's a common marker for several of the known forgeries shown in the GPS Forgery manual. If there's any way you could send me a 600 ppi scan of the MiNr 9, I could do some testing by overlaying it with my certified copy. PostmasterGS, thanks so much for your opinion on the overprints of these two stamps. I took a chance buying them and it only cost me $15 for each of them. I will send you an email in a few minutes. Upon further review, I'm pretty sure the MiNr 9 is a forgery. Certified copy is on top, and yours is on bottom. Note the difference in print quality, particularly the sharpness of the edges on the genuine overprint. Also, when I overlay the genuine overprint over your copy, the letters on your copy don't align consistently across the tops, and the letters are too tall. PostmasterGS, thanks very much for your analysis of the overprint and determination that it is a forgery. I'll add it to my group of German forgeries.